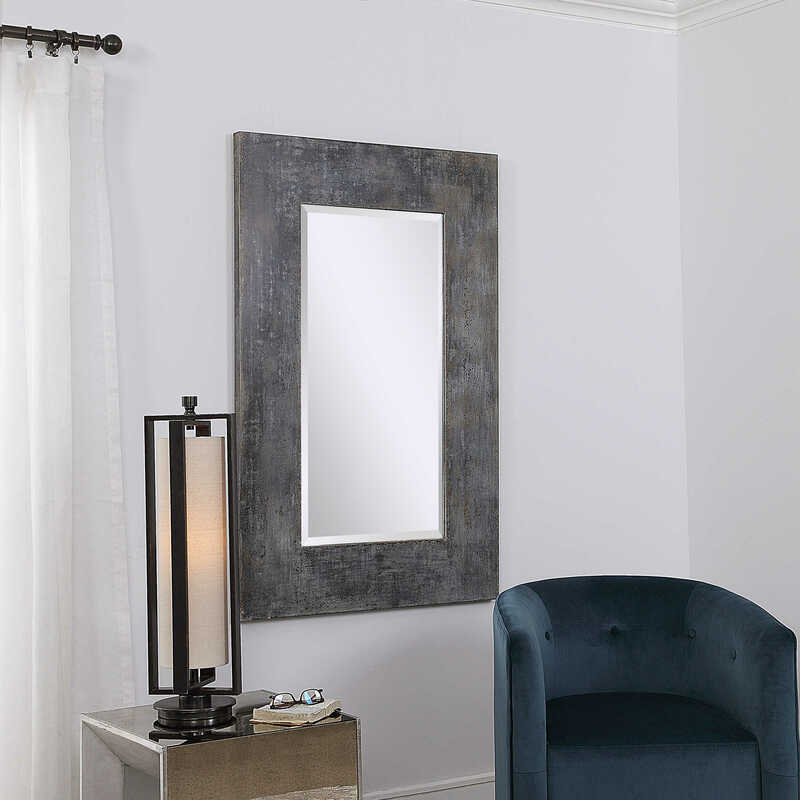 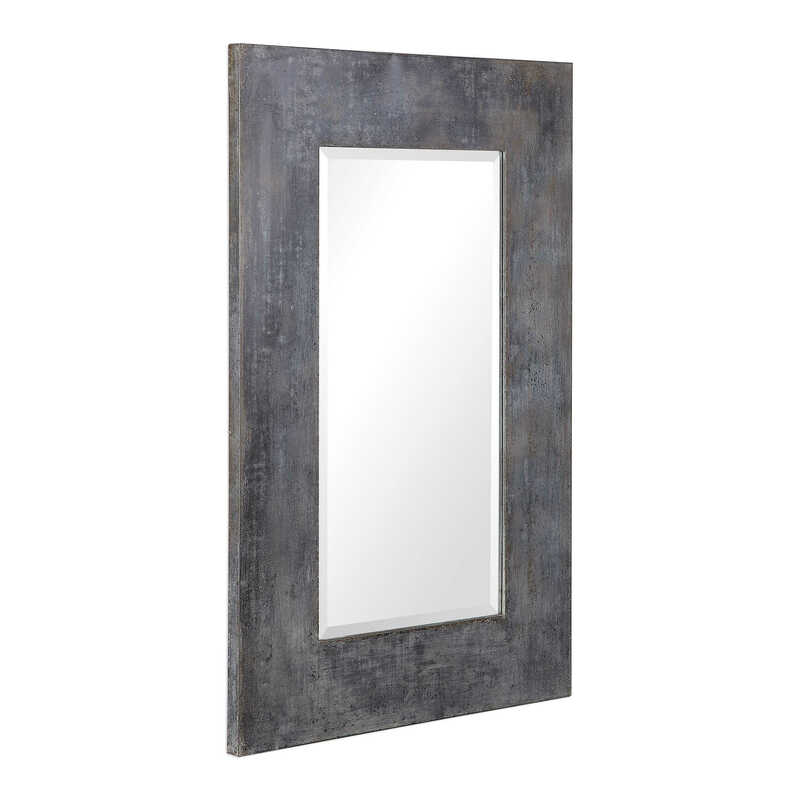 Add rustic flair to a space with this galvanized metal rectangular mirror. 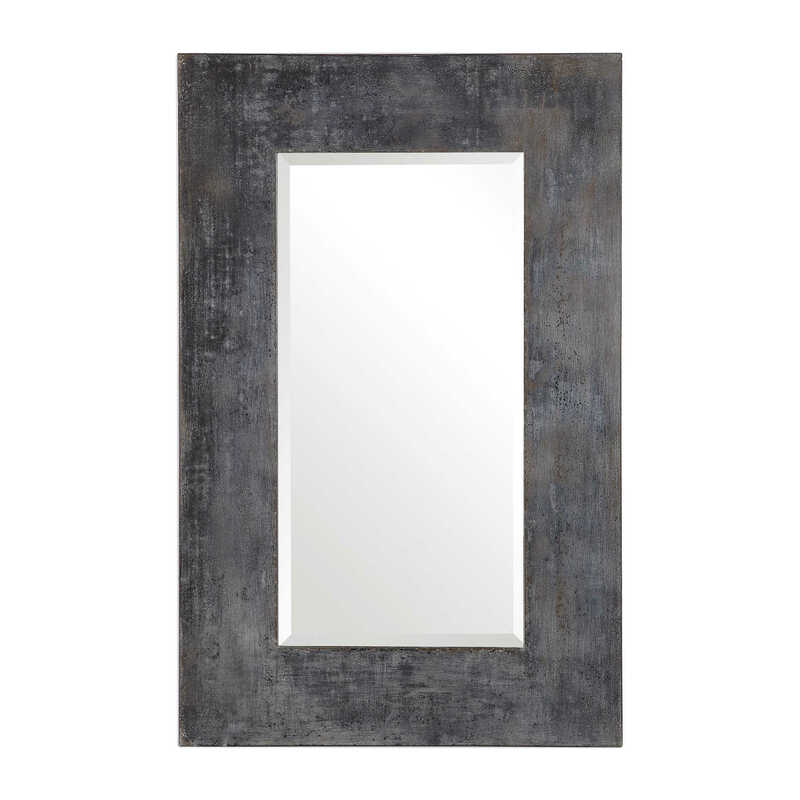 Each frame features a heavily aged, oxidized acid wash finish that makes each piece unique. 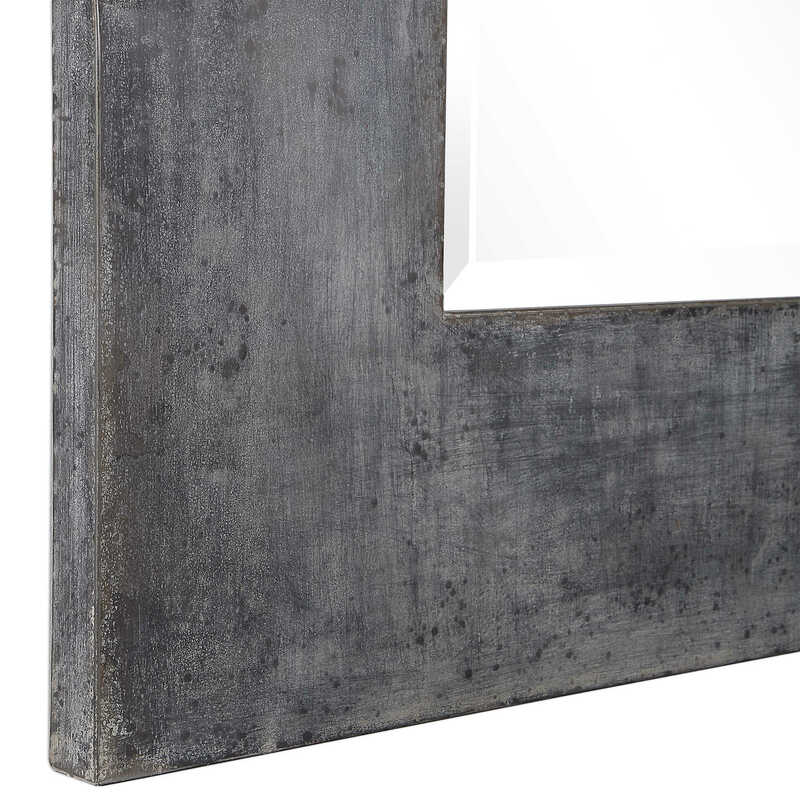 This design is accented by a generous 1 1/4" bevel. 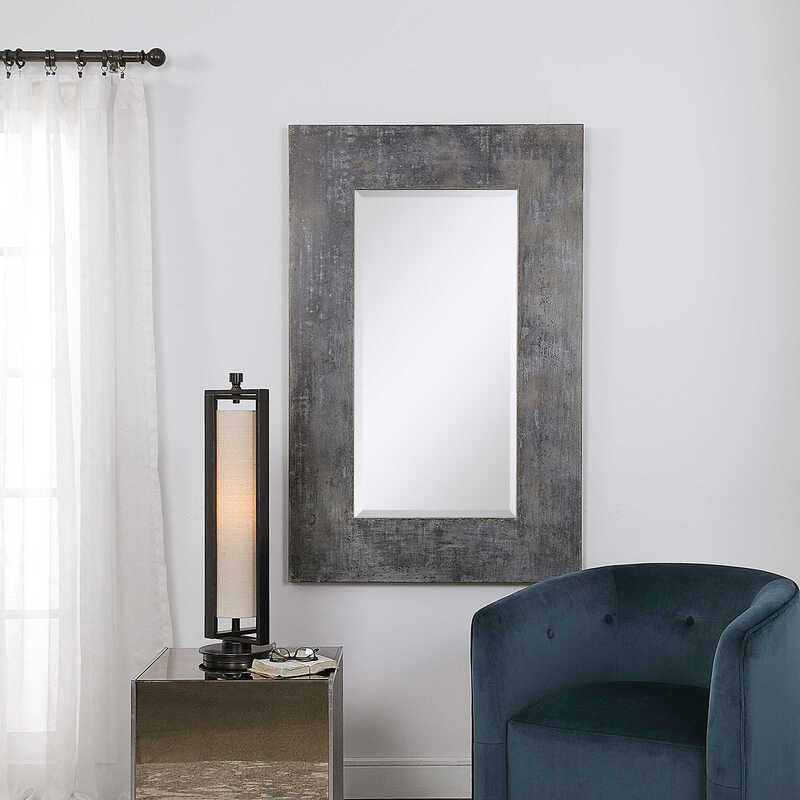 This mirror may be hung horizontal or vertical.